Moreno Global Plastics offers Multiuso -1000 litre containers on pallets. 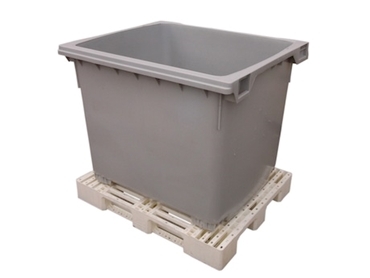 These storage bins have a 930 litre volume, as well as a weight capacity of 400 kg. As standard, these storage bins are green. However, other colours are also available (conditions apply). Personalised hot stamping is also an option for those who want to brand or identify their storage bins. Moreno Global Plastics offers an extensive range of bins which have been specifically produced to cater for the Australian and NZ fresh produce sectors.